So at the risk of making myself sound like the class clown of Blog land, and of the ‘Raduates Class of October 2014 of Blog With Pip, I’m going to help you guys get to know me a bit more. Tongue is planted firmly in cheek always, people….. These snippets, however, are true to form and not very embellished at all, I’m sad to say. 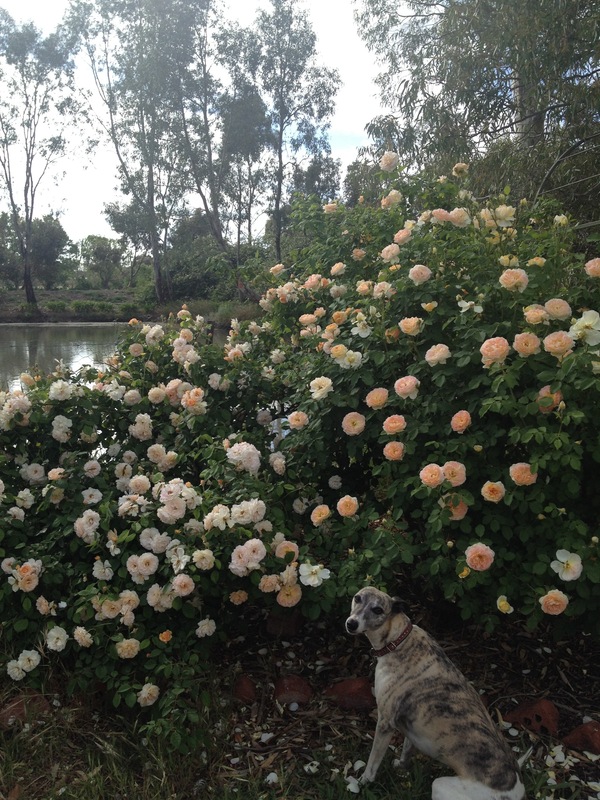 We have a pretty idyllic life, often interrupted by the crazy hound. Let’s set the scene, here. We live in the country, and I’m oh so glad that we do. We have 16 beautiful acres of paddocks, cows and bird life. I grew up and was educated in Adelaide before making my way with the hubs (about 20 years ago, when he was my hot boyfriend) in pursuit of the country life. We revel in our space and the freedom of neighbours being far enough away that we aren’t hindered or obliged to keep the noise down etc. Now, there are some days when we still reckon we’re pretty hot, but the day in question wasn’t one of them; not in that sense of the word, anyway. I was actually red in the face, quite unattractive and sweaty after picking up my little man from Kindergarten one putridly hot November afternoon. Arriving home at our sanctuary, I flicked on the air conditioner, gave a cursory glance to the laden kitchen bench and the dishes that had been left earlier in the day…..it had been a particularly trying morning; judge me if you will…..and made the very easy decision to have a little sit down on the sofa with the local rag whilst the house cooled down. In a blink I whipped off the pants I had been wearing (who needs them!) and plunged into the comfort of the favourite recliner like a half skinned rabbit, devoid of much covering. When you live where we do, it’s very rare to get people clamouring at your front door. Even if somebody does arrive, we have ample warning, for our driveway is a good 400m long dirt road, and you can hear them coming from a mile away….long enough to have a quick stickybeak and attire oneself appropriately. I had even shut the driveway gate this day, as I didn’t want the ninja pet ducks to go swimming in the adjacent channel, which they treat as their local pool when allowed. I know you know where I’m heading with this, and it doesn’t end well. There I was, telly on, pre-schooler happily engaged in ABC Kids after his tiring hot day, and me flicking through the paper, not a care in the world. Until I had the absolute living daylights scared out of me by the sound of the large glass sliding door in our open plan kitchen opening, and a man’s booming voice greeting me cheerily! Just metres away from me was our neighbour, who agists part of our land. He has NEVER come to that door before (and never will again, I know!). The sofa has its back facing the door in question, and it was to an extent my saving grace. “I’ve got something to show you!”, he said eagerly. “I’ll bet it’s nothing like what I might be about to have to show you!” was my immediate thought! I tried to do my level best to seem interested as my mind raced to figure out how to get myself out of this one. A look of puzzlement descended over his face as I failed to get up off the couch, rather flailing around and attempting to do a casual lean over the top of it. That failed. There was nothing for it. Well. That poor man. I’ve never seen such a double take! He disappeared out onto our deck, his face hotter than a jalapeno. I made a run for it, got those pants on and went to see what he had to show me. 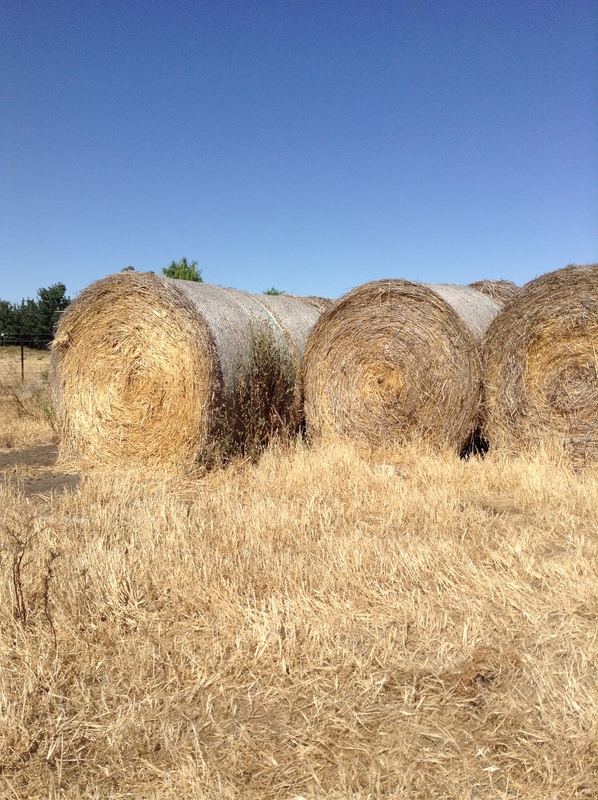 (It was, in fact, pretty exciting….a huge dead brown snake which he’d managed to wrap up in a round hay bale in our paddock whilst baling….pre-schooler boy was fascinated). No matter how I tried to make light of it, poor old Kevin couldn’t see past the embarrassment of it all, so I’ve had to leave it at that. Just imagine the digs I get now from the family whenever we think Kevin might be at the door. It’s ok if it’s his dad, Kevin Snr; he has cataracts. You know what? I still do the same thing to this day. I just keep some form of coverings at my fingertips! Am I alone in this? ‘Fess up, friends! * I really couldn’t think of any good images to put with this particular post…..so just think about hay bales, ok?